The American Alliance for Hardwood Plywood (AAHP) is an organization of American importers, distributors, and manufacturers of hardwood plywood, along with other U.S. companies that depend on the availability of global resources. The AAHP is vehemently opposed to the petition filed on November 18, 2016 with the U.S. International Trade Commission (ITC), asking that tariffs be imposed on hardwood plywood imported from China. This is the second time the case has been filed. The same small group, who unsuccessfully filed a petition in September 2012, is at it again. The AAHP, and its ITC counsel, Mowry and Grimson, led the successful effort to defeat the prior case, achieving a unanimous 5-0 negative injury determination from the U.S. International Trade Commission in 2013. The AAHP recognizes the vital importance of unique resources, such a Chinese plywood, that U.S. domestic manufacturers require to support American manufacturing and jobs. A period of extreme volatility and disruption occurred in the supply chain for hardwood plywood when the last case was filed in 2012. The same petitioners, despite having lost the 2012 case and subsequent Court of International Trade (CIT) appeal, are seeking to disrupt the supply chain, for thousands of manufacturers, including many of their own customers, once again. Nobody wins in these cases — not the petitioners, the importers, the distributors, or certainly consumers. Anti-dumping and countervailing duty cases truly are a “lose-lose” endeavor. High duties will raise costs for U.S. manufacturers relying on both domestic and imported hardwood plywood. If the petition’s 114% tariff is approved, up to half the world’s supply of hardwood plywood would be unavailable to U.S. manufacturers, creating an economic advantage for overseas competitors. WASHINGTON – The American Alliance for Hardwood Plywood (AAHP) reacted with shock when the U.S. Department of Commerce (DOC) announced its final antidumping and countervailing duty rates. Originally intended to be announced November 7, the duty rates were kept secret during President Trump’s visit with Chinese President Xi. “These rates are based purely on politics, not on any type of marketplace reality. Unfortunately, hundreds of thousands of American workers will pay the price in lost jobs. Industries including the kitchen cabinet, recreational vehicle, window and door, furniture, homebuilding and flooring industries all utilize the Chinese hardwood plywood because it is distinctly different from American hardwood plywood,” said AAHP Chairman Greg Simon. Antidumping margins of 183.36 percent were imposed on all Chinese companies, as well as countervailing duties ranging from 22.98 percent to 194.9 percent, based on the specifics of each Chinese manufacturer’s shipments and pricing. Simon noted that witnesses from end-use industries showed up to testify before the U.S. International Trade Commission (ITC) in opposition to this case, alongside the AAHP, with letters of support from trade associations representing over a million American workers. The AAHP was supported in its defense against the antidumping/countervailing duty case by the Kitchen Cabinet Manufacturers Association, the National Association of Home Builders, the Recreational Vehicle Industry Association and the International Wood Products Association. Many U.S. mills cheered the new duties however, including Columbia Forest Products. The Coalition for Fair Trade of Hardwood Plywood, which initiated the complaint that triggered the investigation, also cheered the news. AAHP hopes the ITC, who has the last word on whether or not the duties will remain in place, will rule in its favor. “We remain confident that the ITC will keep its eye on the facts and law before it,” said Simon. “We are hopeful the ITC remains immune from political influence, follows the rule of law and once again terminates this flawed petition. The DOC’s high duty rates have raised the stakes for American manufacturers who cannot get this raw material at home,” said Simon. The ITC will vote December 1. The American Alliance for Hardwood Plywood is an organization of American importers, distributors and manufacturers of hardwood plywood, along with other U.S. companies that depend on the availability of global resources. Washington, DC – The American Alliance for Hardwood Plywood (AAHP) reacted with shock today when the Department of Commerce (“DOC”) announced its final antidumping and countervailing duty rates after a considerable delay. The rates were scheduled to be announced on November 7 but were instead kept secret during President Trump’s visit with Chinese President Xi, thus confirming the political nature of the decision. Today’s announcement that the DOC has, with a stroke of a pen, changed preliminary duties of zero percent for the principal investigated Chinese company to an exorbitant 183.36 percent final duty provides an answer why the new duties were kept under wraps. The high 183.36 percent antidumping duties, together with additional countervailing duties of 22.98 percent for most companies, will apply to the unique hardwood plywood made by China that cannot be produced in the United States. “We remain confident that the ITC will keep its eye on the facts and law before it” said Simon, noting that the ITC has the last word on whether duties will remain in place and will vote on December 1. This case is a repeat of a complaint filed in 2012 by the same group of petitioners. Then, like now, the DOC announced high final dumping and countervailing duty margins, yet the ITC still voted to terminate the case. “We are hopeful the ITC remains immune from political influence, follows the rule of law and once again terminates this flawed petition. The DOC’s high duty rates have raised the stakes for American manufacturers who cannot get this raw material at home,” said Simon. Washington, DC – The American Alliance for Hardwood Plywood (AAHP) expressed confidence at the closing of a final hearing of the International Trade Commission (ITC) on potential antidumping and countervailing duties on imports of Chinese hardwood plywood. The AAHP joined several industry stakeholders that testified before the ITC and presented strong evidence that imports of hardwood plywood products from China are not having a negative impact on the domestic hardwood plywood industry. The AAHP’s previous opposition to an identical case in 2012 resulted in a unanimous vote by the U.S. International Trade Commission (“ITC”) to terminate the case. That win was later upheld on appeal by a federal judge. The proposed duties of more than 225 percent would be devastating to the hundreds of thousands of American jobs that rely on hardwood plywood from both the U.S. and China, including U.S. Kitchen Cabinet, Furniture, Laminators, RV manufacturers and other vital American manufacturers, located in states like Indiana, Wisconsin, Ohio, Pennsylvania, Michigan and Virginia. A joint letter from International Wood Products Association (IWPA), National Association of Homebuilders (NAHB), and the Recreation Vehicle Industry Association (RVIA) was sent to ITC commissioners in advance of yesterday’s hearing strongly urging them to vote negative in the AD/CVD case. “The only thing that has changed since 2012 is that our Alliance has even more support today. Every day we are contacted by more cabinet makers, laminators, furniture manufacturers and retailers who agree that Chinese and domestic hardwood plywood is fundamentally and physically different. The petitioners continue to deny this fact to the ITC, while at the same time their salesmen are in the field, actively touting the fundamental product differences. We exposed the truth the ITC hearing and are confident that we will prevail again,” stated Mr. Simon. The Alliance for Hardwood Plywood is an organization of American importers, distributors and manufacturers of hardwood plywood, along with other U.S. companies that depend on the availability of global resources. We are writing1 to urge you to vote in the negative in the antidumping/countervailing duty case on Hardwood Plywood from China. The Commission has considered this same case before and voted unanimously to terminate it in 2013; the Commission should do so again. 1 Our comments constitute a written statement of information and are timely filed prior to the November 2 deadline pursuant to the Commission’s July 11, 2017 scheduling notice. Our associations collectively represent hundreds of thousands of American jobs including manufacturing jobs that rely on access to both domestic and global raw materials to remain competitive. One such product is hardwood plywood, where imported plywood has historically played a complementary role in the market alongside domestic hardwood plywood. The RVIA is the lead trade association for the recreational vehicle industry, which includes nearly 300,000 American jobs contributing $50 Billion to the U.S. economy. 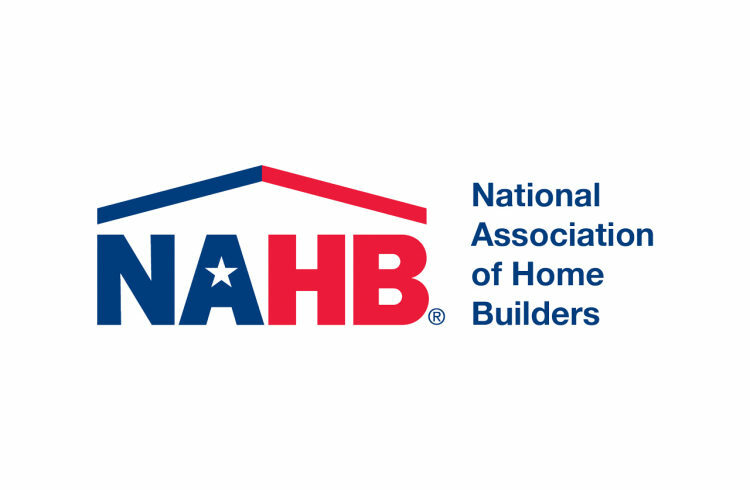 The NAHB is the lead trade association of the American home building industry. NAHB’s 140,000 members construct about 80 percent of new single family and multifamily homes in the United States. Homebuilding and remodeling account for approximately 12-15% of the U.S. GDP. 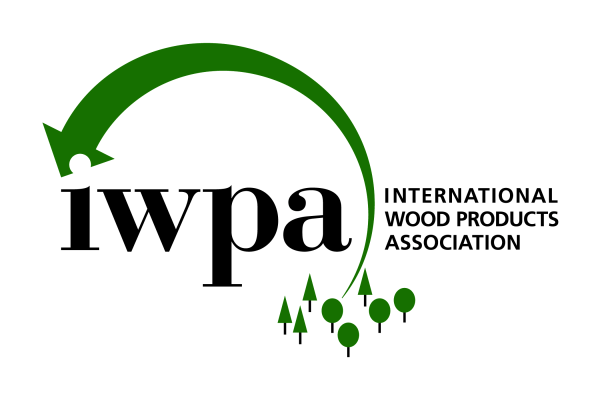 The IWPA is the leading international trade association for the North American imported wood products industry, representing 200 companies and trade organizations engaged in the import of hardwoods and softwoods from sustainably managed forests in more than 30 nations across the globe. These American jobs depend on both domestic and global raw materials. In hardwood plywood, imported plywood has always played a role in the market complementary with domestic hardwood plywood. Domestic and Chinese plywood are physically different and used for different purposes, as the Commission heard during the preliminary phase investigation from the AAHP. We agree with and support the American Alliance for Hardwood Plywood on this important point. Whether in the manufacturing of kitchen cabinets or other household cabinetry, the construction of new homes and residential remodeling incorporating cabinetry and flooring, the manufacturing of recreational vehicles and related components or a variety of other end use products, the Chinese plywood is used in ways and for applications that domestic plywood is not. We are concerned that if this case moves forward to final antidumping and countervailing duties there will be unintended negative consequences on our industries, our members and their employees that collectively far outnumber those of petitioners – both in terms of employment and contribution to the economy. In order to remain competitive, our industries rely on the ability to choose the proper wood product with the most appropriate performance characteristics for each specific application. Because the Chinese plywood differs so significantly from domestic plywood, unfair trade duties are unlikely to result in any increased sales of domestic plywood. Rather, the industries consuming the Chinese plywood will be replaced by plywood from other import sources that share similar characteristics. We respect that the companies who filed this unfair trade action have the right to petition the government on behalf of their roughly 2,000 employees and have their grievances heard. We also respect the need to ensure that United States trade laws are fully and fairly applied when the facts and the law require a remedy. In this case, however, the facts do not support an affirmative determination. On behalf of our associations and the hundreds of thousands of American workers they represent, we urge the Commission to consider the important differences between domestic and Chinese plywood and make a negative final determination just as it did in 2013. Washington – The American Alliance for Hardwood Plywood (AAHP) reacted today to the fake news video released by six giant plywood corporations and their politicians at the National Press Club. The slick video cannot hide the fact that the petitioners’ actions hurt the more than 100,000 American cabinet makers, furniture makers, home builders and RV producers that rely on both imported plywood and domestic plywood because they are physically different and always have been. The U.S. International Trade Commission previously investigated and unanimously rejected the petitioners’ identical claims, a ruling that was upheld by a federal judge. Now, when neither the facts nor the law support their misguided effort to restrict supply and limit choice, the petitioners roll out a dramatic and misleading video. FACTS: This is patently false. The U.S. International Trade Commission found that domestic plywood production worker jobs increased from 2300 in 2013 to 2391 in 2015. This is not slick talk from a public relations firm, a politician, or a high-priced Washington law firm. It is in Table C-1 from the U.S. International Trade Commission’s investigation in this case which can be found here: https://www.usitc.gov/publications/701_731/pub4661.pdf . That same government report confirms that wages paid to plywood workers increased from $18.20/hour to $19.43/hour and hours worked increased by 6.7 percent during the same period. MYTH: The petitioners’ slick video suggests that the domestic plywood industry is heading downhill. FACTS: This is also not true. Back in the 2012 case, the number of workers was under 2000 and production was roughly 25% lower than it is today. The ITC’s official findings from the last case are summarized at Table C-1 here: https://www.usitc.gov/publications/701_731/pub4434.pdf. The plywood industry is better off than it was the last time they brought, and lost, this case. MYTH: If the petitioners’ case succeeds, they will enjoy increased sales and profits. FACTS: The domestic industry does not make the type of plywood from China and other import sources. Their raw materials and production process is not suited to it. Imports from other countries are already larger than China and will replace Chinese plywood over time. The petitioners will reap no benefit. They will only harm other American manufacturers. MYTH: The petitioners have a legitimate case. FACTS: The AAHP defeated a similar unfair trade case brought by the same close-knit group of anti-competitive producers in 2012/13. There, the DOC announced combined antidumping and countervailing duties of nearly 150 percent. Yet, the ITC threw the case out after a full investigation– by a unanimous ruling. That unanimous ruling was later affirmed by a federal judge of the U.S. Court of International Trade. Now the petitioners are back and the case seeks to tie one arm behind the back of the U.S. cabinet makers, furniture makers, and other manufacturing industries by denying them a level playing field in raw material sourcing with their offshore competitors. “We will keep fighting the petitioners’ misguided claims, which have even less merit than they did in 2012. No video with scary music can change the facts. The U.S. International Trade Commission is staffed by professional career economists and investigators who will not be tricked by slick videos or statements by politicians,” said Simon. The AAHP is an alliance of small medium and large American importers, distributors, manufacturers, retailers of hardwood plywood and the U.S. Kitchen Cabinet Manufacturers Association, collectively representing more than 100,000 American jobs. “We look forward to preserving American manufacturing jobs by defeating this bogus case again,” said Mr. Simon. WASHINGTON — The U.S. government’s potential imposition of duties of more than 100% could put a dent in hardwood plywood imports from China, which could curtail use of this material in domestic made cabinetry, shelving and, to a lesser degree, U.S.-made furniture. In late April, the International Trade Administration announced preliminary duties as high as 111.09% for 61 Chinese manufacturers of hardwood plywood products including hardwood and decorative plywood and certain veneered panels. Another manufacturer, Linyi Sanfortune Wood, received a preliminary duty of 9.89%. Most of the higher duties resulted from failed attempts by the U.S. Department of Commerce to receive information from many of the Chinese factories. The order excludes wooden furniture pieces that are fully assembled. It also excludes RTA furniture that is typically flat packed and includes components that are purchased by and assembled by the end user or consumer. Also excluded are kitchen cabinets that are fully assembled or assembled by the end user. Panels that are imported for assembly by domestic manufacturers of cabinetry or furniture would be subject to the duties. The preliminary duties went into effect April 25, the publication date of the notice in the Federal Register, and are designed to address allegations of unfair trade practices by Chinese producers. A group of 12 domestic producers called the Coalition for Fair Trade of Hardwood Plywood filed its petition with the government in November. The impact on the furniture industry could be small as it represents roughly 5% of the coalition’s market for hardwood plywood, compared to 20% when the domestic industry was still strong. But any duties on Chinese-made boards could change some of the purchasing habits for those producers that now buy from China. Shortly before the preliminary duties were announced, the American Alliance for Hardwood Plywood, a group of small medium and large importers, distributors, manufacturers and retailers of hardwood plywood, criticized the move. “The federal government has tied one arm behind the backs of the U.S. cabinet makers and other manufacturing industries by denying them a level playing field in raw material sourcing with their offshore competitors,” said AAHP Chairman Greg Simon. “This case is presented as cracking down on Chinese trade ‘cheating’ and protecting American jobs, but it will benefit nobody in the U.S.
Those who wish to request a hearing related to case, must submit a request to the Assistant Secretary for Enforcement and Compliance at the DOC within 30 days after the April 25 publication date of the Federal Register notice. These comments, along with further information that is part of the ongoing investigation, will determine whether or not the DOC assigns final duties on the imports. AAHP’s Simon said the group will “keep fighting the petitioners’ misguided claims, which have even less merit than they did in 2012,” in reference to a prior petition effort. Washington – The American Alliance for Hardwood Plywood (AAHP) expressed disappointment in yesterday’s announcement by the U.S. Department of Commerce (“DOC”) imposing preliminary countervailing duties of 9.89% on Chinese exporters of hardwood plywood. Commerce separately applied a penalty margin of 111.09% to one Chinese company that did not fully cooperate with the investigation as well as companies that did not return the quantity and value questionnaire, likely because they do not export plywood. The high duty figure is sure to be touted by the small group of domestic plywood producers to sow uncertainty and reduce the supply of a key raw material with no domestic equivalent that is needed by over 100,000 American workers making kitchen cabinets in the United States. Those American workers, who outnumber domestic plywood employees by a ratio of more than 30 to 1, now face competition from imported cabinets that can utilize the unique Chinese plywood free from duties. The AAHP defeated a similar unfair trade case brought by the same close-knit group of anti-competitive producers in 2012/13. There, the DOC also announced combined antidumping and countervailing duties of nearly 150 percent. Yet, the ITC threw the case out after a full investigation– by a unanimous ruling. That unanimous ruling was later affirmed by a federal judge of the U.S. Court of International Trade. “We will keep fighting the petitioners’ misguided claims, which have even less merit than they did in 2012. While the DOC announcement of duties will gain headlines for the petitioners, ultimately they will mean nothing when the ITC throws this case out”, said Simon. “These same six petitioners brought this case in 2012 and lost unanimously at the International Trade Commission (ITC). Then they appealed to federal court and lost again. Now their solution is to use the same playbook and bring another case in the hopes of disrupting proven fair trade that is fostering the production of U.S.-made goods employing tens of thousands of U.S. workers.